Flat D, Kelso Lodge is a wonderful ground floor apartment just a short stroll away from the Town Centre. This well presented one bedroom apartment offers a perfect investment opportunity and would be ideal for first time buyers or people wishing to downsize. 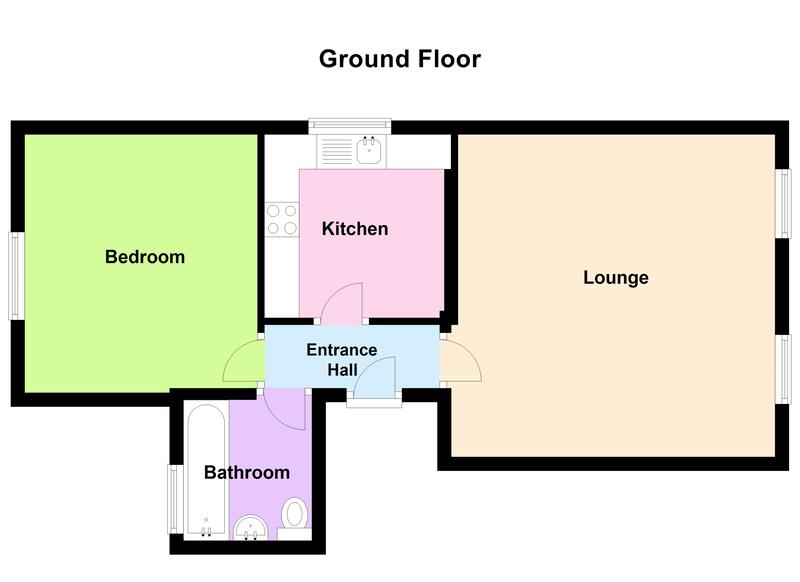 Accommodation comprises of an entrance hall, lounge/diner, kitchen, bedroom and bathroom. Externally there is a parking space for one car and visitor parking. This property has been kept to a high standard throughout and early viewing is highly recommended. Call Cranfords today on 243878 to book your viewing! 8'10" x 8'10". Appliances include Zanussi 4 ring gas hob, Zanussi single oven, Hotpoint fridge and freezer and Hotpoint washer/dryer. Mains electricity and water and mains drainage. Gas central heating. No service charge.